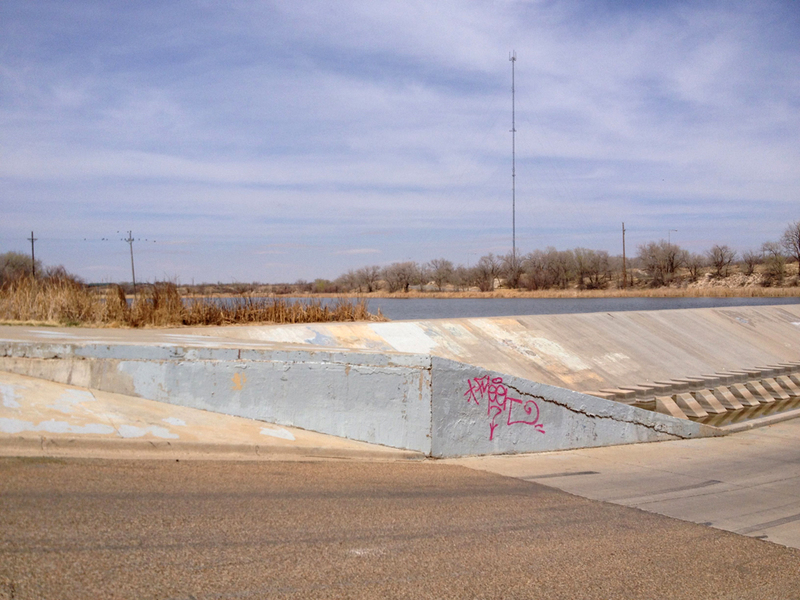 Located in East Lubbock and forming Dunbar Historical Lake sits a modest dam patch-worked with graffiti cover paint swatches and weathered by dirt, hail, ice, and sun. This dam is a great example of infrastructure becoming event space. The straight and engineered wall is a striking contrast to the irregular wetland edge bordering most of the lake perimeter and the dam top offers access as well as a refreshing perspective to the water body interior. 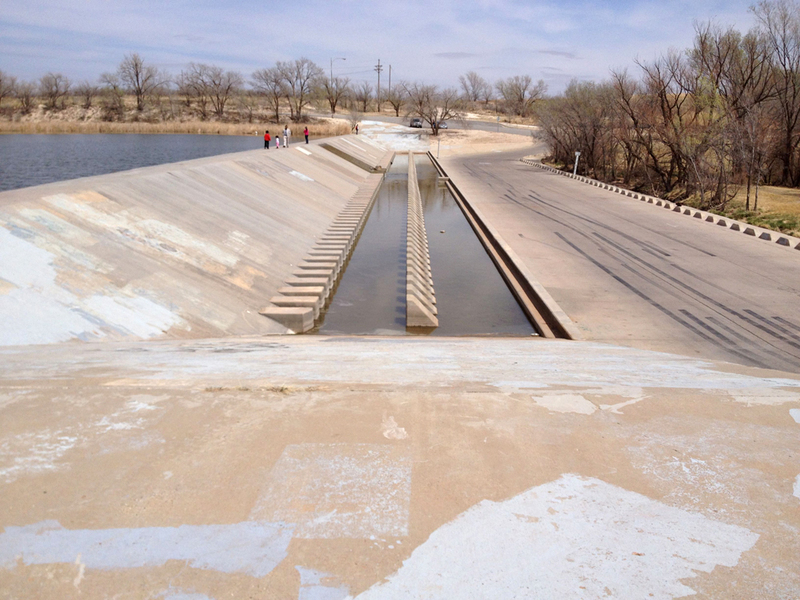 Often people walk the dam line, fish from one edge, sun bath on the warm concrete surface, race along the slope face, and leap from chute block to chute block making a playground of mere infrastructure. Views from the dam top reveal the manufactured existence of these Lubbock lakes and appropriately frames the colliding condition of necessity meeting nature as is found around West Texas. Adjacent to this dam and spillway runs Canyon Lake Drive where tire marks reveal the burnout joy of going from 0 to 80 mph launching up an incline. Although evident of age, this concrete landscape is a successful mark in the Lubbock terrain as it provides for people on multiple scales, from people pleasure to infrastructure needs. 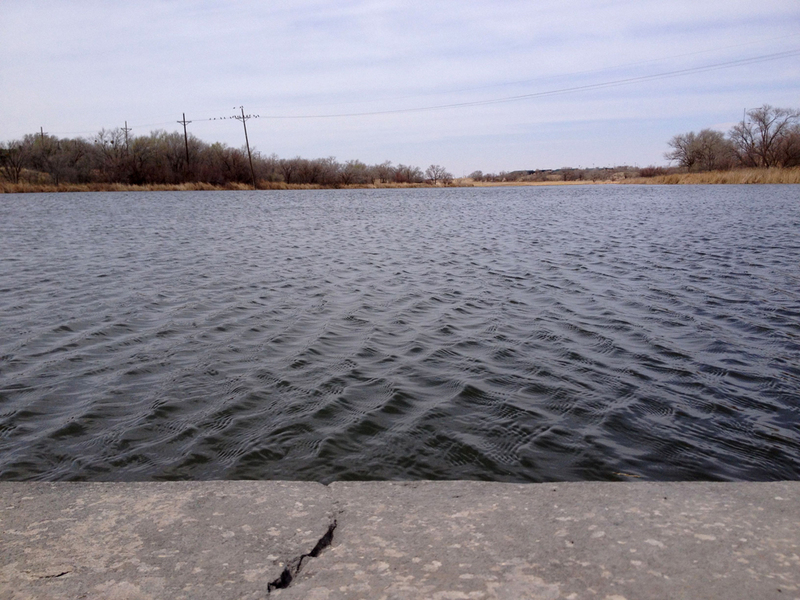 This entry was posted in lubbock, material, west texas by vmcreynolds. Bookmark the permalink.